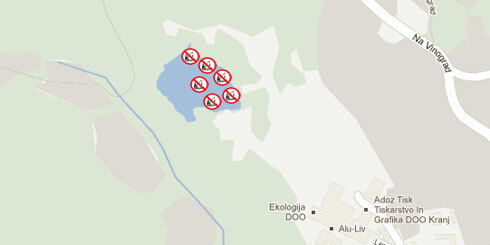 Allinformation on fishing in The pond Stražišče, with licence Catch and take. Get all new information about the fishing regime with licence Catch and take! All fish are fly fishing species, which means that under certain circumstances they can be fished with an appropriate artificial fly. The fishing is allowed on the entire lake except from the east part of the shore.